In a flash, the Golbat dropped, both wings severed from its half-decayed body. As it lay writhing on the ground, a blade was plunged into its gaping mouth, severing its still-gasping jaws in two. There was no blood -- only a strange powder, much like the ash descending from the murky nighttime clouds above. Chivalry removed his elbow-blade from the rock beneath the still Golbat, standing and offering the infected creature a half-pitying look. How unfortunate. How sad. He turned and retreated back into the secure warmth of Mt. Mortar, reaching over to wipe his blade on the cave wall; a few bits of the Golbat's powdered blood was left on the rock. A dirty blade could mean infection for the Gallade. There was protection within the cave's warm walls: Chivalry had rolled heavy boulders in front of the mountain's main passage, blocking it off from most of the infected; to those that could climb or fly, there was only one entrance to the mountain, and this was well-guarded by the relaxed Dual-type. He would only venture from his cliffside home-base to hop down the rocky face to a grassy patch a few feet below, where he would tend to the few Berry plants he dared to nurture. Though he was risking his life just to grow the plants, it was beyond important to keep up his health. A small pile of Berries sat in a well-prepared nest of leaves on a high shelf in the cave wall. Chivalry reached up and picked through them, selecting the choicest Oran Berry and moving back to his position just within the safety of the cave's mouth. There he sat, a silent sentinel carefully inspecting his held Berry before popping it into his mouth and chewing slowly, quietly -- the scent could attract more outsiders. Then, as if on cue, a delightful, delectable fragrance drifted her way, teasing and tickling her palette. She nearly giggled as she began drooling with anticipation: live meat. Sweet, warm, tender LIVE MEAT. She grinned, her fangs tinkling in the dim starlight, and she quickly trotted to the mouth of a nearby cave, where she peeked in, seeing a moving, living meal. She licked her lips and kept near the shadows, trying to decipher just how the best way to approach this creature was. Though she was careful, her paw slipped and a pebble fell, giving her general location away. She cursed with a hiss and hid. He preferred to sleep inside a warm, cozy house, with pillows to sleep on to his content, but Koin knew that his former life was no more. Try as he might, the electric Pokémon knew that he would not be able to live with humans ever again as long as the infection continued growing. He shook his head to dissolve the useless thoughts. Focus on fundamentals first! You need some sleep! The Jolteon figured if he slept on a high elevation, dangerous Pokémon had a lower chance of attacking him preemptively. Koin nodded to himself, proud of his wit. "Alright, now the only problem is climbing up there." He whispered to himself. The electric type jumped onto a steep rock, then scrambled himself to another, taller mound of terra firma. As the Jolteon traveled upwards slowly, he heard the sound of a rock hitting the hard ground. Koin immediately felt nervous. Another Pokémon around these parts? He gulped. It would surely be one of the zombies. But as he sniffed his surroundings, awaiting for the stench of death, Koin instead smelled... berries? The Jolteon could already taste the juicy berries as his teeth dug into them. Food IS another necessity for living. Maybe a glance wouldn't harm? He crept up quietly to the rocky edge, peering over to see a Gallade. Blaze looked around in the darkness though she could see better then a human she was still pretty blind in this situation. The dark cave loomed over her, she was at a higher level then anything this cave could throw at her, even if she was at the type disadvantage. Blaze's breath let out a fog, she shivered slightly despite the mild temperature. She never should have come here it had been stupid of her to think that Master would've come here, With all the night pokemon lurking around the infection could have spread here all too easily. Her stomach grumbled from underuse missing that pidgey she'd made a meal of two days ago. Blaze had never been a hunter she'd always had a professor or her trainer there to feed her, but now... the scent of berries caught her attention and she werved her long neck around. She began to speed toward the scent, to keep herself from running into stones she lit up her back only slightly. There was a time when this would have warmed her and others but heat seemed to ignore the Typhlosion ever since her trainer went missing. She soon got close enough to see that the berries seemed to already be taken. The scuffling of a pebble beside the cave mouth caught the Gallade's attention; his head snapped up before the pebble had stopped rolling, and he looked toward the entrance. Something vaguely like apprehension tugged at Chivalry's heart, but he put it aside and extended his left elbow-blade quietly -- this was not the time to be nervous. He craned his neck and sniffed the acrid air blowing thickly through the small entrance; like most Pokémon, he had a keen sense of smell, and detected a strange scent he had not smelled in a long time: uninfected blood in the body of a relatively-clean creature. Intrigued, the Gallade crept closer to the cave mouth, but a shadow stayed the movements of his feet. A Jolteon was looking at him over the top of the entrance. "Have you come into contact with any infected?" The Gallade asked as calmly as he could, despite his heart racing in his thin chest. Delia quirked a brow at the gallade's reaction to the little spikey thing in the entrance. She thought for sure she would have been caught... She grinned, her fangs glinting in the ambient light. How delightful. Now... if there were some way for her to be able to eat either one, all would be well. "Pardon, but I could take that yellow rat off of your hands, good sir," she quipped calmly in her spot adjacent to the gallade and the yellow thing. "I've been looking for a good meal and he seems plump enough to satisfy even the most voracious of appetites..." A coy, delighted grin grew on her face. Koin winced as his sharp fur, which was being weighed down by the force of the offensive Gallade, proceeded in creating an uncomfortable feeling on the Jolteon's back. He didn't notice it at all, though, as he opened his eyes to the Pokemon that had pinned him to the ground. Koin couldn't even recall when he had closed his eyes in the first place- he was scared stiff that when he had finally found another living Pokemon, he would be killed by their hands. The thought frightened Koin so much, he felt shivers convulsing through his body. "Have you come into contact with any infected?" The Jolteon felt his ears press against his head in shame as the Gallade asked a simple question. Of course he had fought off a few of those monsters. Koin allowed himself an alibi, There was no choice! If I hadn't, I would be a freakish zombie myself then too. The comforting inner thoughts did not comfort at all, and he glanced away from the Gallade's searching gaze, only to notice a small black fox prancing confidently over. Koin felt himself stiffen with anger after the approaching Pokemon spoke, but he forced himself to stay silent, instead settling with glaring at the Zorua. I am not a rat! The Jolteon wanted to throw a good Thunderbolt at the Pokemon who wished to eat him of all things, but a certain Gallade still held an elbow-blade digging into his throat, and he didn't want any chances if his captor thought of digging deeper due to disrespect. A thought suddenly came to Koin. If the Zorua wanted to eat him... no normal Pokemon would do that! Oh Arceus! The she-devil of a Zorua is really a zombie! "Ah, Snowpoint City! Land of snow! That cold, icy rock! Land of snow! Where I evo-lved! Land of snow! The white out bli-zzards! Land of-Whoa!" The Glaceon's paw slipped slightly as she scaled the rocky surface of Mt. Mortar. Gasping, Rin controlled her powers to freeze her remaining paws to the mountainside before adjusting her footing. She continued upwards, looking for shelter, a safe shelter that would hide her from the undead. But something caught her eye, a small black and red body with large blue eyes, she tensed, before creeping up slowly. Immediately, the sight of a Jolteon caught her eye. Rin's father was one, strong and masculine with golden fur buzzing in the sun. She looked again, and there was a Gallade, holding the fellow Eevee evolution by the scruff of their neck. "Pardon, but I could take that yellow rat off of your hands, good sir," that was the smaller figure's voice, it was fox-like, and she identified it as a newer species. A Zorua. The Glaceon immediately tensed. "Excuse me," she spoke aloud before leaping lightly forwards, "I kindly ask you to release this fellow Eeveelution." she said with her face raised towards the Gallade in an attacking posture. "And please don't eat him, he's a handsome lad." now Rin was speaking towards the Zorua, the tiny creature was dangerous for her, it was keen and thirsty for blood, she could tell. Blaze stayed hidden from veiw from the group of gathering pokemon her fire was now out so tha only her pale underbelly was a problem. Her red orbs glowed as she stared at the pokemon that had gathered there. She was happy to see pokemon that hadn't been infected and turned into walking carcasses. A part of her though looked angrily at these pokemon, why couldn't they have been the team, why weren't they her team. She wanted to change them and fix them so that they would be, but she shook the feeling away. Maybe she could just ask these pokemon whether or not they had seen any of her team and more importantly her trainer. I should just be happy that they aren't trying to kill me. Which was more then she could say for that little Zorua. From what she could tell so far it wasn't undead from the fact it was speaking, but she might be wrong. Either way she didn't like it and liked it even less when she said she wanted to eat the Jolteon. The Typhlosion got a glint in her eye as she came out of her hiding place. Her weasel like body crept up behind the fox pokemon and she lowered her head so her icy breath could be felt and partially seen. "I wouldn't try if I where you, the spikes are hard to eat through. But you look like you'd make a good meal." she hissed. She placed her front foot on the Zorua's tail so it wouldn't run. "Pardon, but I could take that yellow rat off of your hands, good sir. I've been looking for a good meal and he seems plump enough to satisfy even the most voracious of appetites..."
The Gallade's searching gaze flickered over to the Zorua before again settling intently on the Jolteon's frightened face. It looked guilty at his question and irritated at the Zorua's words, but did not respond to his question. Disgust welled up in Chivalry's heart: how could that Dark-type think of eating another Pokémon at a time like this, with infection running rampant? It was bloodthirsty creatures like her that helped spread the infection. He longed to teach her a lesson with a good dose of Close Combat, but want for peace stayed his free blade. Besides, she was a lady: Chivalry's intense respect for females made him powerless against her. "I'm afraid I can't do that, my lady." he said a bit above a mumble, his gaze still fixed intently on the Jolteon beneath his left blade. "We don't know what is and isn't infected; the early stages are subtle, and if you're not careful, you could infect yourself with your desire for flesh." "Excuse me," another voice came from the far side of the rock face, where a Glaceon was sitting. "I kindly ask you to release this fellow Eeveelution." 'Great, another female.' Chivalry thought to himself, his gaze darting over to the bluish Pokémon for another nanosecond before returning to the Jolteon. Relieved and elated that the scent coming from both of the newcomers was healthy (he recognized the Zorua's from before he encountered the Jolteon), he remained cautious -- early Infected did not appear to be so. "Again, my lady, this is a request I cannot complete." he said to the Glaceon, his gaze still pinned to the Jolteon. What was he hiding? "It is a simple question. Have you contacted any Infected?" he then said to the Electric-type, his voice barely above a whisper. His heart thudded in his chest. Suddenly, a fourth scent registered in his brain. "I wouldn't try if I where you, the spikes are hard to eat through. But you look like you'd make a good meal." A Typhlosion, a native to this region, had its foot on the Zorua's tail; by the sound of its voice, Chivalry assumed it was female, as well. His instinct to protect overwhelmed his respect for women, and in a flash, the tip of his right blade was pointed at the Typhlosion's throat, freeing the Jolteon. "Nobody is eating anybody!" he yelled with commanding volume, his eyes blazing as he looked from Typhlosion to Zorua and back. He pointed his other blade in the direction of the Zorua to emphasize his point, though he did not know if he could follow through with his threats...these were women, after all. "Hard times these may be, but we are not savages! I have procured plenty of Berries that I will share with you, but I refuse to allow you to eat one another." He fell silent, giving his words time to sink in; reluctance filled his heart as he thought of giving his precious Berries away and revealing his hiding place to four strangers. As the Dual-type looked between them, his gaze softened; they appeared healthy but tired, lost, frightened, likely lonely, and obviously very hungry -- these stresses made them less likely to put up a fight he would be incapable of putting down. Chivalry retracted his blades and backed up a few steps, gesturing up the rocky face to the small hole above. He continued, a bit softer this time: "Come up with me, and I will see that you're fed." Delia immediately realized her mistake when not one but two other pokemon emerged from the shadows and expressed their... objection to her suggestion. The typhlosion behind her even stepped on her tail and glowered down at her, suggesting that they eat her instead. She kept quiet; her spot in that cave was looking more grim by the moment. When the gallade finally got everyone to stop jumping down her throat for a simple question, (that she didn't even ask the others, which really annoyed her), she kicked the typhlosion's paw off her tail and twitched an ear. She could tell that the beast was far out of her league and logic supplied that she was not to be messed with... at least, not directly. Since the beast was so... beastly... the niceties must be observed. "After you," she said with a small bow, keeping her bright blue eyes on the typhlosion. She then looked back over the other pokemon as she tried to assess just what she was dealing with. "I'm surprised that you're willing to share your stash with four other complete strangers..." Delia began casually to his side. "It's odd and miraculous, even, to find that kind of generosity now. You have my full and unbridled gratitude. "Unless there's some ulterior motive in bringing us into a small, crowded corridor where you could easily slaughter the bulk of us, I truly appreciate what you're doing. You look so thin, too. Are you sure you're even able to share with all of us, especially the tower of muscles over there?" she asked, nodding at the typhlosion. Koin flipped himself over and stood up slowly. The Jolteon felt weak in the legs as relief washed over him. He wasn't going to die (hopefully) tonight, after all! He leered at the retreating figure of the Zorua chasing after the Gallade. He felt a little cowardly- Koin let himself be beaten so easily. Oh, Master. I'll try harder! Although, he noted to himself, the Zorua could not possibly be trusted. She tried eating him, for Arceus' sake! The Jolteon felt his fur spike up with his anger, and he forced himself to calm down. The danger had passed for now. He shook his entire body to remove any remaining pieces of dirt hidden in his fur, and sighed. Many hours were spent to make his pelt as clean as it was before the disease spread, and it only took a few seconds for it to be ruined. "Zombie Zorua..." Koin passed by the Glaceon on his way towards the hole where the Gallade and Zorua had walked into, before he remembered she had defended him. He turned to the other Eeveelution. "Hey, thanks for sticking out for me." Koin noticed the Typhlosion that stepped up also a few paces away. "You too." The Jolteon felt himself relax; it was almost a miracle that so many other living Pokemon had met in a single place. All thanks to a falling stone too. He glanced to the Glaceon, and back to the Typhlosion. "I'm Koin, by the way. Nice to meet all of you." Except that horrible Zorua... Koin felt a little resentment to the Zorua, as well as a pinch of fear. He shook his head again. Positive thoughts! It seemed like everyone was alive, so he shouldn't be pondering on the negative. The Jolteon felt a twinge of guilt start to crawl in, and he peered into the dark hole where the Gallade had entered. Koin knew he should have told him upfront that he had only fought a few of the infected, instead of keeping shut. It would only add to the suspicion he sensed the majestic Pokemon had towards him. That's it! Koin started to the opening, determined to tell the truth to the Gallade. Everything was bad enough as it is, so he might as well spill the beans. The rest of them probably fought off some of the zombies too, so I won't be alone, he told himself as he followed after the Blade Pokemon. Rin felt satisfied at the Jolteon's release, even though she was not the one that caused it. She was more even so when the Gallade had generously offered them his very own stash of berries so they wouldn't kill each other. "You are a kind gentleman, thanks for sharing your few remaining meals with us." she wandered up to him before retreating back again. She was slightly nervous around the Typhlosion and Zorua, one of them is dangerously aggressive, while the other cunningly deadly. Oh well, the Jolteon could keep her company. "Aw, no need to do that. Difficult times, we shouldn't be fighting among ourselves and ingesting the weak... Of course, you aren't really weak." the Glaceon rubbed affectionately against Koin. "Oh, and thanks for supporting... Well, helping us to foil the Zorua's plans. I'm Rin." she nodded towards the Typhlosion this time, deciding an attempt at cross-species friendship. Koin didn't count, he was an evolution of her former Eevee self. "So... What about all your pre-infection lives?" Rin spoke to everyone now, even the Zorua, although she thinks that it was not quite as nice as the others would be, a little violent too. "Are you wild? Or captured before? I had a nice trainer, we were chasing the legendaries across the regions. Then she died when we visited Celebi's shrine. The infested ate her. She burnt her head, and they smelt the cooked meat. I couldn't help her. They slashed me on the side. I was lucky that I didn't catch the disease." she was a teeny bit proud of her past, even though she was sad Lucia got killed. But that Glaceon can't spend all day crying over the dead, she was too cheerful and confident. Blaze didn't even flinch at the sight of the gallade's blade "Your a few levels too short to be threatening me." She lightly chuckled "Don't worry though, I had no intention of eating her. She's too small to make a good meal out of anyway." The zorua made it's escape from Blaze then pushing Blaze's paw off of her tail. The typhlosion just huffed slightly when the zoura spoke to her and followed the good mannered Gallade after he had offered to share his food. She was near the back of the line next to the two eeveelutions as they traveled, she stared ahead her ears pricked up for any odd step that could mean danger. She rolled her eye's at the zoura's comment about her being a tower of muscles. Blaze wondered if the little meat fanatic had ever seen another typhlosion, in comparison to those Blaze was on the small side. But she did want to hear the answer the Gallade would give her. It took her a second to respond when the Jolteon Koin and the Glaceon Rin thanked and greeted her. "It was no problem, putting that zoura in her place was... nostalgic." Memories of training Akira's newly caught pokemon sprand to mind. "My name's Blaze." It wasn't the most original name for a typhlosion she admitted to herself, but Akira had given it to her and it suited the her well. "So... What about all your pre-infection lives?" The glaceon asked right before she told everyone about her previous life chasing legendaries and then in great detail explained exactly how her trainer had died. Blaze's heart lurched at the thought of seeing her trainer like that. But Rin still seemed to be happy, the glaceon reminded Blaze of her Ampharos team member who was the happy go lucky one. "I'm my trainer's starter, we went on the standard trainer's journey, went against the eight gym leaders of jhoto and fought the elite four. Though the difference between my trainer and the others is that we won." It hadn't been an easy victory though, Blaze thought grimmly remebering how hard the battles had been, she still had scars from it, the low light made them hard to see though. "My trainer's name is Akira." She didn't know if they'd reconize the name when she'd first become champion there had been too many interveiws to count, as the months went on the numbers dwindled but Blaze could always expect at least one reporter every month. "I was sent off to the Unova region to help one of her friends train her team, when I heard of the epidemic I came back. I'm looking for her now"
Chivalry climbed, nervousness blooming in his gut. How would he be able to bring these hotheaded strangers together? Teamwork was crucial in order for all of them to survive, and in order for teamwork to happen, trust would be needed. How could five Pokémon so utterly different grow to trust one another? He set his jaw and swallowed thickly, hoping the others wouldn't notice. "...I truly appreciate what you're doing. You look so thin, too. Are you sure you're even able to share with all of us, especially the tower of muscles over there?" he heard the Zorua pipe up from the back of the line. As he grabbed the ledge outside the cave mouth, he swung himself up into the narrow entrance with ease and tossed a careless glance over his shoulder at her, a small smile on his thin lips. "I have the ability to grow as many as I need, but in limited quantities and over much time." He gestured down the rock face to a small ledge a few yards further down from the ledge the skirmish had taken place on; on this ledge, a few scraggly Berry plants grew, small blossoms on their thin branches. As he watched his new comrades clamber up onto the ledge and enter the cave, he thought of offering the females a hand, but found them either strong enough to take care of themselves or assisted by another. With another cautious look at the lightening sky, he ducked his ornamented head and stepped into the darkness. "So... What about all your pre-infection lives? Are you wild? Or captured before?" the Glaceon asked when they were all situated inside the mountain. Chivalry listened intently to the others' stories as he headed further back in the cave and reached up onto a high ledge for his Berry stash. He took all the Berries except one of each, cradling them gently in one arm close to his chest; he sat down between the Zorua and the Jolteon, carefully situating himself and resting the Berries one-by-one on the ground in the middle of the group. His mind focused intently on their stories, and his heart ached as he listened. The Glaceon had a Trainer, and described her death in such vivid detail...and the Typhlosion, too, had a partner, and was searching desperately for her. He knew the struggle of searching for someone lost, and as he regarded her in the low light given off by the flames from her shoulders, his keen eyes caught the outlines of faint scars beneath her thick fur. Before he could stop himself, he spoke up: "I never had a Trainer. I was born in the wild, and thus, learned from it." Damn, unspoken rule number one broken: never talk about your past if you don't fit in. "I was taught the harshness of life by enduring it as nature intended. However, I am seeking a human from Sinnoh, the boy who left me my Shiny Stone." He dropped his sharp gaze to the Pecha Berry in his lap, not wanting the others to see his eyes; eyes were portals to the soul, and if they saw his, they would find hurt and desperation -- emotions he neither wanted to feel or show -- there. Delia stayed, strangely, near the Gallade. She figured his old thinking of keeping the females safe would work to her advantage more than keeping near the others would. She listened to the stories with an interested ear; it may be useful information later. She was a little surprised that the glaceon would describe her trainer's death in such detail --and it made her a little hungry, too... She was not shocked at all that the typhlosion was in the top tier of the battling world. More reason not to mess with the muscle beast... she thought grimly. The atmosphere settled and there was a small silence as the others awaited the next person to speak. Delia cleared her throat as all eyes settled on her. She made a small face, but began nonetheless. "...I think it would be best for all of you if you just knew that I've had no trainer and that I escaped from a Poke Mill and illegal fighting ring. Though the details don't bother me, I don't think it's really something to go into depth while we're enjoying this meal together..." Her eyes twinkled a little with something akin to mischief. "...Just to be considerate." Koin suddenly felt a little nervous as he sat down reluctantly to the right of the Zorua. He most certainly did not want to know what she had done in the fighting ring, ever. He felt himself stiffen to think that she ate all of the foes she had conquered. Oh boy... The Jolteon shook his head (he had always hated this habit) to clear his thoughts. It seemed like it was his turn to speak of his former past. The Lightning Pokemon used his hind foot to scratch his ear as he started, "Well, when I hatched, the first thing I saw was my trainer. Never met my parents, but Master was kind enough to fill both parental roles." Koin set down his foot as he remembered his human friend. "We went everywhere together, and he scarcely put me within a Pokeball. Walking side-by-side was the norm for the both of us." He felt a little awkward, knowing that the Gallade had never had a trainer. But he had said he was looking for a boy, so surely he would know the connection between human and Pokemon? "Master and I, after venturing through the entirety of Kanto, traveled to the neighbor, Johto," Koin coughed. Everyone would know what happened next. "On the side topic, I was still an Eevee, but we had found a Thunderstone throughout our travels. It was only on his... dying moments that he evolved me." Koin looked down. He didn't know why he was letting all of his past out, but deep inside, Koin knew; some way or another, he could trust these Pokemon. The Gallade hadn't killed him, even when he had the chance, Rin and Blaze stuck up for him when they could have stayed in the dark... and the Zorua... The Jolteon scooted slightly away from her. "Well, we all seem to have something in common. Out previous lives were affected by humans, minor or major." Rin said with a mouthful of berries. "So what are you all doing right now? I'm just travelling around, getting myself familiar with the region before it's... Ah, too late. Then, assuming I survive, I would settle down, find a nice partner, have a nice litter of Eevees and help them evolve the best I could. I would really long for a shiny daughter, but having a son is okay too, I guess." she wondered if other have any ideas of leaving behind another generation of their own species. "But it isn't easy getting around with all the infected flapping, stomping, or raging about. I must admit I am quite shocked to meet so many alive Pokemon here. It is luck, I believe." she continued. "Well, did the infected give you a hard time getting around these parts? I was pretty lucky to escape unaffected. But did you guys have any close encounters? I would believe each of you at least had one. I keep on feeling that I'm really alone... You don't see many Glaceons around these parts, they are all in Sinnoh. But those Umbreons are pretty gorgeous too, a little violent-looking though. Espeons are rather elegant... But I'm sure you lot don't care about those stuff, right? It's just nonsense blabbering from an Eeveelution." Blaze listened to all the stories intently as she chewed on the berries. Though she would like to relate to the Gallade she just couldn't. She'd always had some sort of human there with her, the pokemon breeders, Proffesor Elm, and finally Akira. Being alone and without them had been a foriegn topic to her, at least till now. Actually the one she felt she could most relate to was probably Koin and Rin who had traveled and battled with their trainers. The only difference was that Akira was still alive. The zorau's story explained alot in a few sentences about her... issues. Blaze had heard very gruesom tales about the pokemon mills. Rin began to talk again asking if either of them had had any close encounters with the undead. The typhlosion's eyes narrowed at the thought. Undead jynx and other icetypes came to mind and Blaze let out a huff of annoyance as her answer. "Getting around wasn't too hard, I just came from blackthorn city. I had the type advantage so it was easy to fight off the infected without much trouble." "My trainer has some eeveelutions, after she stopped battling the umbreon and espeon in our group tied the knot. Bit later I'm a god mother." Blaze felt a shiver go down her back at the thought of the past. She wasn't even sure if Orion and Elsia had made it. And at the thought of mates she thought of her own and the cold she had been trying to ignore hit her at full force. The flame on her back became larger in attempt to warm her. He twitched his head nonchalantly, driving the fleeting thought from his mind. He was a loner, and survival needed to be at the forefront of his brain. He chose not to answer the Glaceon's question, knowing only that he wanted to live long enough to see the infection defeated; planning for the future was foolish. Rin's second question prompted an answer from the Dual-type: "I have encountered many Infected, but have taken steps to guarantee that we see no more." He turned in his sitting position and gestured back into the darkness twisting away from the cave mouth. "All other entrances are blocked, and the inside thoroughly explored; the only Infected to fear are those that can fly or still climb. This mountain is very safe." He rested his elbow back on his bent knee, a small bit of pride blooming in his chest at his achievements. The flaring of the Typhlosion's shoulders cast eerie shadows onto the jagged stone walls; deep in the cave, the light of the barely-risen sun was extinguished by darkness, becoming the fabled "light at the end of the tunnel". Chivalry turned to face the light, regarding it with a sinking heart. With the rising of the sun came an ounce of protection from the nocturnal Infected, but with daylight came a whole new wave of the undead. "I'm afraid I am out of Berries." he said softly, not wanting to alarm any of his new acquaintences. "I'll have to venture out and harvest more." His words thudded into his own ears like a death sentence. It was truly amusing to watch the other pokemon and their reactions to certain phrases and words. The yellow sea urchin squirmed under her eye, the beast of fire and muscles twitched and betrayed herself with her fire, the blue thing's eyes would avert, but none of these -maybe except the yellow thing- were quite as fascinating as the gallade. He really seemed to be trying to hide the longing and yearning in not only his voice, but his face and, more specifically, his eyes. Something about that random boy really meant something, something she couldn't really put her paw on. Fascinating. The conversation at hand rendered her out of her reverie, and she realized it had opened up to everyone present. The Gallade made the sad observation that he was out of food, and she grinned and stretched her lean, tiny body. "I would be of use finding them. I have a great nose and..." she quickly changed into a Infected-looking Typhlosion, "...great camouflage." She grinned as her false wounds festered and oozed with black blood, her smile retaining her strange malice. "It's the least I can do." Koin jumped up hastily and faced the newly-transformed zombie Typhlosion. "Ah!" He yelped, preparing a Thunderbolt. "It's an actual zombie! The thing showed its true face!" The Jolteon backed up into Rin, feeling nervous by the second. It was going to eat me, and turn me into a zombie too! He quickly glanced around, and hoped that no one would see that he was truly feeling fear inside. The food stash was diminished, he was in a small cavern with little to no escape, and an infected Pokemon loomed over him. Koin shook his head; of course they could see he was frightened stiff. The Jolteon remembered the many close calls he had on his run from the zombies. Nearly getting bitten from variants of the infected, slammed into trees or walls by larger Pokemon, and especially the time when his trainer had been killed by one of the zombies. Koin shivered slightly, eying the undead Typhlosion uneasily. He knew he should be at the very least vengeful for the death of his Master, but all Koin could feel was utter fear as he stared into the blank eyes of the dead Typhlosion. "T-take this, zombie!" Koin closed his eyes shut and tossed a weak Thunderbolt toward his opponent, feeling his fur stick up and straighten out with his emotions. "Hey, hey! It's just that little Zorua. No need to be so scared!" the Glaceon caught Koin despite his spiky fur and helped him up gently, "No need to attack. She's just playing around... C'mon, you're a big boy, aren't you?" she nuzzled the Jolteon. Rin swallowed her last bite of berry before returning to her place. "Well, scaring other members aren't going to help." she scoffed Delia, "These are very dangerous times, and giving a false alarm can bring people to attack you. It creates confusion and misunderstandings. I would not do that if I were you." she scratched herself behind the ear and settled down. "So you have lived here for a long time then? And it is quite safe against the infected? If so... Would it trouble you if I stay for a few days until I resume my travelling?" Rin turned her head upon the Gallade this time. Chivalry suited him beautifully, a word fit for any Gallade, especially this one. "Again, it is wonderful for you to offer your hospitality to us." the wind outside blew, and the water rippled slightly, she was tempted to drink some, but had to stay to find her answer. Blaze looked annoyed at the sight of the zorua becoming an infected typhlosion. Really of all things, did she have to become a typhlosion? Koins freak out made her stand up, and rush forward infront of the thunderbolt he had shot out. The thunderbolt was pathetically weak and the typhlosion huffed in annoyance at it barley shaking from it. She looked back at the zorua/undead typhlosion, and assuming where she actually was using her back leg Blaze pushed her back and hopefully out of her illusion. "Best not to do that again." she told the zorua. "it's a neat trick but not the right time." She walked up to Koin who Rin was comforting, she leered over them and seemed irritated. "Koin I don't know wether that was the best you could do or not, I pray to Lugia it's not." She knelt down so she was looking at him at an even level. "You can't be a skittish fool when ever you see an infected. You might have survived this long but you'll get killed if you continue like that." her voice wasn't harsh, but it had authority in it, she'd used the same tone before when she'd dealt with younger pokemon that she had taught. Then Blaze's eyes averted to the naive glacion, she wondered for a second how strong these two where. Storng enough to survive so far but still able to keep those demeanors. She picked her head up and then she looked at the zorua, despite not liking her she didn't want her to die. The gallade seemed to want to stay here so she didn't know about him. Chivalry watched the interactions between his four new comrades with both amusement and irritation. Though the scene unfolding before him was funny in its innocence, if that Zorua had been a real Infected-...the situation would have turned out much differently. He looked from one to the other to analyze -- first, the Zorua. Her illusory ability would be of great help for the dumber Infected, who couldn't analyze scent well, but her mischievous nature was indicative of someone unreliable; she had a much higher potential to stab someone in the back or betray them in an hour of need than did the others. Then, that Jolteon: he was way too trigger-happy, and his attacks too weak (likely out of fear, which he would have to overcome). His skittishness could spell infection for someone else, if he ran away in the middle of a fight. 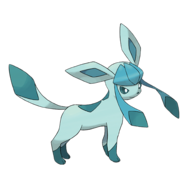 As for the Glaceon, though she displayed leadership qualities, her strength in battle remained unknown; Chivalry felt she could be counted on to do the right thing and follow directions well, but she was very ladylike -- that could be indicative of her battle prowess. 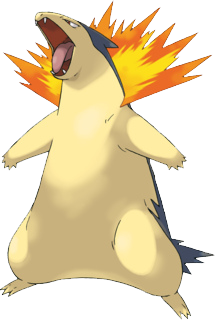 Finally, the Typhlosion: surely a fully-evolved Pokémon that challenged the Elite Four was strong, very strong indeed, but her sense of teamwork was lacking a bit. Would she save someone if they were in the thick of a swarm of Infected? Chivalry knew he would lay his life on the line if any of his new comrades needed him to, and times may very well have called for it. "You guys need training." Blaze said blatantly, and though the Gallade agreed, it would have to be while on-the-move. Though he hated to leave the safety of the mountain, it appeared necessary; to find the boy who Evolved him, remaining stationary was far from prudent. He decided to speak, and spoke carefully: "Since we all have goals to attend to far from this cave, we should probably leave it. I cannot guarantee the safety of it upon our return, should we decide to come back, but it is not wise to stay in one place for too long, no matter the degree of safety. If we are to go out, it is best we do it together, as a unit." As he spoke, he looked from one Pokémon to another, staring especially hard at the Zorua and Blaze, the two he expected to give him the most trouble. Mischievousness and overconfidence could spell death for them all. "Will you team up with me?"